LAS VEGAS (AP) — An attorney for Las Vegas Sands Corp. says a Hong Kong businessman deserves a fraction of the $347 million he's seeking for breach-of-contract because he abandoned Sands to find other advice to open a Macau casino. Richard Suen's attorney, John O'Malley opened a third trial in the long legal battle telling jurors Wednesday that Suen and his company Round Square Co., should get almost $347 million for introducing billionaire Sands chief Sheldon Adelson and Sands executives to key Chinese officials with influence to grant a coveted Macau gambling license. Sands attorney Richard Sauber countered that Suen and Round Square earned no more than $3.76 million before abandoning Adelson and Sands in 2001 to find other advice — long before the Sands Macau casino opened in 2004. "What did they actually do? What was the quality of what they did? What's the value of those services?" Sauber said jurors will be asked to decide. "The Round Square group did not deliver what they came to the table and told Mr. Adelson they could do — deliver a license." Jurors later began hearing videotaped testimony from Adelson, who testified in two previous trials but isn't expected to testify in person now for health reasons. His video testimony was scheduled to continue Thursday. 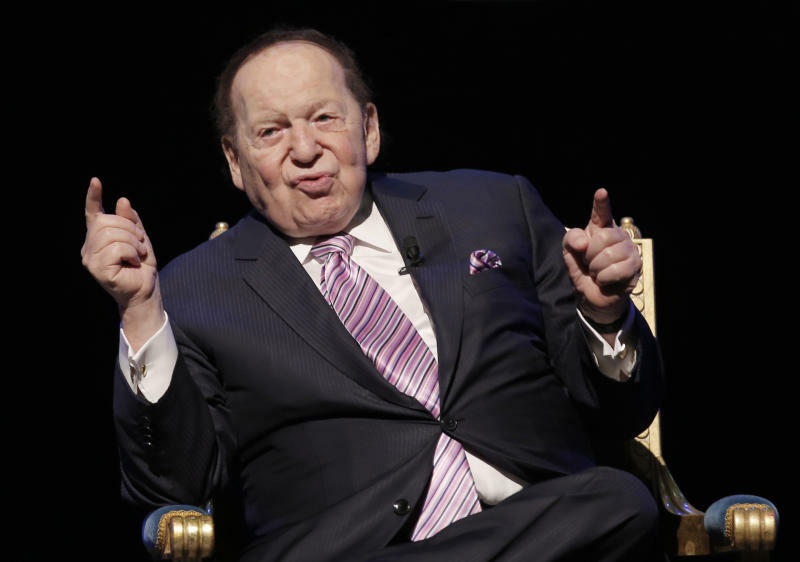 The company disclosed recently the 85-year-old billionaire board chairman, CEO and Republican national party donor is being treated for cancer and has not been at the company's Las Vegas offices for more than two months. Suen could testify Friday. He maintains he was promised a $5 million "success fee" if Sands got a Macau license, plus 2 percent of Sands' Macau profits over the 18-year life of the company casino license. Las Vegas Sands now owns five properties in Macau, where O'Malley put profits at a combined $17.1 billion through June 2022. The attorney said the promised fee and slice of profits mean Suen and Round Square should receive $346.9 million. "There's no contract in this case," Sauber countered during his turn before the 15 men and women picked to hear the civil breach-of-contract damages trial in Clark County District Court. "What we're here to figure out is equitable reimbursement." Jurors have been told the case could last until mid-April. Sands appealed previous jury judgments of $44 million against it in 2008 and $70 million against it in 2013, and this jury's decision could be appealed yet again to the Nevada Supreme Court. The state high court twice upheld trial findings that Suen and his company provided services to Sands and that the company is liable for damages. But justices looked at a range of damage claims from $1 million to $348 million and decided in 2016 that a new jury should hear more evidence before deciding an amount. "Value. Worth. Benefit. You keep those three ideas in your mind," Suen lawyer O'Malley told the jury. "How much is deserved?" Suen and his business partners used their Chinese network of trusted social and business relationships, or "guanxi" (gwan-CHE'), to benefit Sands at a time when worldwide competition for three casino licenses was intense, O'Malley said. "Mr. Suen ... and other colleagues had Chinese government connections. They arranged and attended a lot of meetings. They had local contacts. Their knowledge of Chinese culture would turn out to be important," the attorney said. 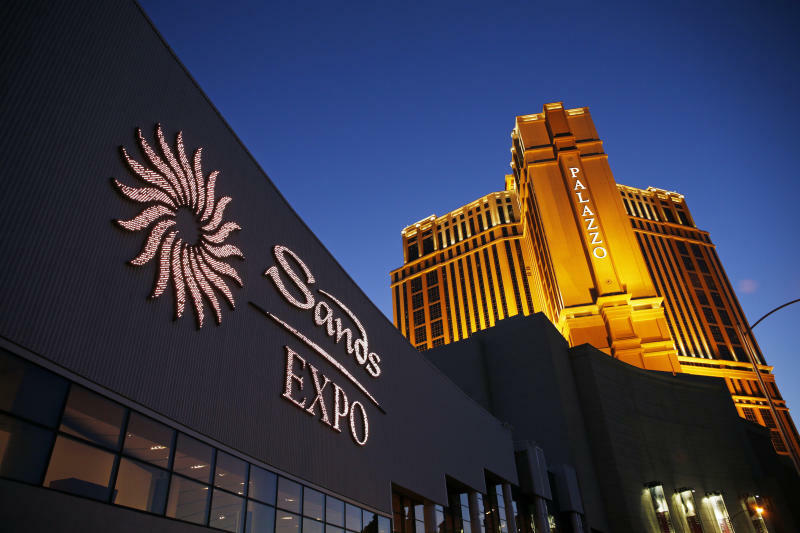 Publicly traded Sands also owns its flagship Venetian and Palazzo resorts and Sands Expo Center on the Las Vegas Strip, a resort in Singapore and one property in Pennsylvania.